PARLIAMENT – The Speaker of Parliament, Rebecca Kadaga, on Monday committed to follow up on a petition by alumni and students from Busoga University, in a bid to expedite Government involvement in the academic growth of the university. “The Committee [Education] will invite you for a hearing. We are going to process the necessary papers and take them to the plenary,” Kadaga said. The Speaker made the remarks while receiving a petition from Bais Godfrey Ndada, the Chairperson of the Busoga University Alumni Association on Monday, 28 January 2019. Among the matters for action included a call to Government through the Ministry of Education and Sports, to fast-track the takeover of Busoga University as well as investigate allegations of a revoked license of the institution. Ndada told the Speaker of unknown officials from Government who had spread false information about the institution’s capacity to carry out academic affairs and had failed to follow up on a Presidential directive. “On January 8, 2018, the President directed the Minister for Education to take over Busoga University. But a year on, some people have moved to fail progress on this directive,” Ndada said. He also told the Speaker of allegations that the university was accepting undergraduate students without minimum qualifications, which had tarnished the good image of the institution. 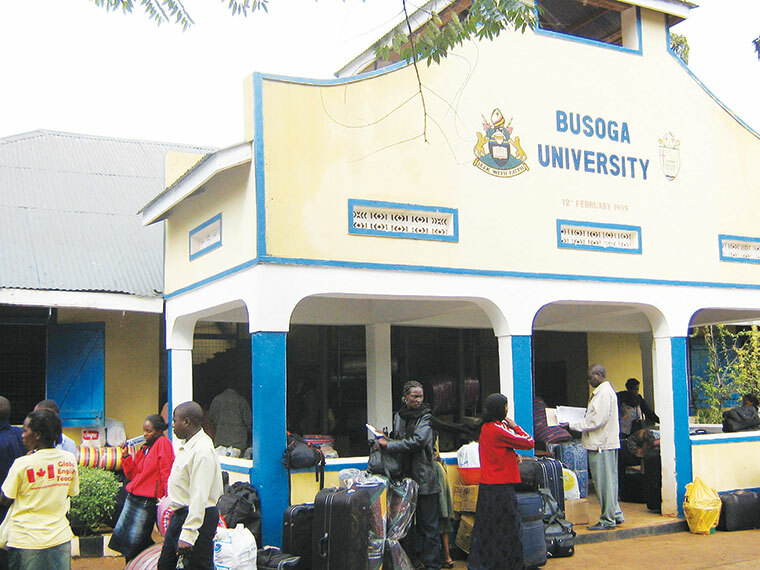 “National Council for Higher Education on Monday alleged that Busoga University admits students without the minimum entry requirements. If students do not have these requirements, why are they relocating to other universities,” asked Ndada. He called on Parliament to investigate the closure of the institution of higher learning in Busoga, as well as direct the Education Minister to halt relocation of students from the University to other institutions. The media has been rife with stories about the Government’s plan to take over the University, which hit a snag upon the discovery that the university had mortgaged its land and other assets for shs2.6 billion loans in April 2016. The mortgaged assets include Plots 73 and 83 in Kigulu, Buwooya in Iganga District in the name of Busoga University; and plot 95-111 on Saza Road in Bugiri measuring 8.174 acres with a leasehold of 49 years and 12 postdated cheques.